Wounded care projects ~ Adopt-a-Soldier Platoon, Inc. These are the ways we're involved in caring for our returned warriors. Operation Wounded Care has been part of AaSP’s support arsenal since we sent our first care cartons to the largest U.S. military hospital in Iraq (Ibn Sina) in 2004. At one point, we supported 16 medical facilities in Afghanistan, Djibouti, Germany, Iraq and Kuwait. Today, Operation Wounded Care focuses on two main areas. 1) The first is taking care of our Wounded/Recovering Veterans (and their Caregivers) who come home from the War On Terror and need help transitioning to their civilian lives. 2) We also aid medical staff at medical facilities in Afghanistan, Djibouti, Kuwait; and Landstuhl Regional Medical Center in Germany -- where our injured Warriors are sent with combat wounds. We also support Navy hospital ships when we have the opportunity and forward surgical teams wherever they may be. In the U.S, we’ve supported Christmas and Super Bowl parties for years at Walter Reed Nat’l Military Medical Center. We’ve purchased iPods and other electronic aids for Walter Reed’s Nat’l Intrepid Center of Excellence program to help our injured Vets with Traumatic Brain Injury (TBI) and Post Traumatic Stress (PTS). We’ve helped purchase adaptive vehicles; renovate living areas for ADA appropriate bathrooms, doors and the like; provided financial stipends and done what we can to help our Wounded/Recovering battle life’s everyday challenges. Our volunteer VP of Wounded Care, Mary-Edna Krutchkoff, R.N., has spent over 40 years as a registered nurse in a range of capacities from Head Nurse of Psychiatry at one of NJ’s finest hospitals, Hackensack Meridien University Medical Center ... to school nurse … to Director of Nursing for five non-profit homes taking care of mentally disabled adults. Mary-Edna’s expertise, professionalism and heartfelt caring have been essential to the development of our Wounded Care program. In 2015, AaSP held the Warfighter Independence Weekend not far from Boston, MA, and brought Soldiers (mostly from the 10th MTN DIV) from all over the country. Attendees enjoyed the camaraderie and retreat setting but interventions were also made. It demonstrated the need to continue the effort. So, we pushed forward with our suicide prevention efforts by supporting the ideals of Camp4Heroes in Fairmont, NC. We are still active with Camp4Heroes and currently building the first log cabin at the Camp. Adopt-a-Soldier Platoon also works with other volunteer charities and organizations to help our Wounded/Recovering Veterans. We are not always able to help them by ourselves. As we often say, “We’re all in it together.” All donations to our Operation Wounded Care are spent on programs for our Wounded and their Caregivers – 100%! We continue to make Memorial bracelets for those KIA or through suicide. 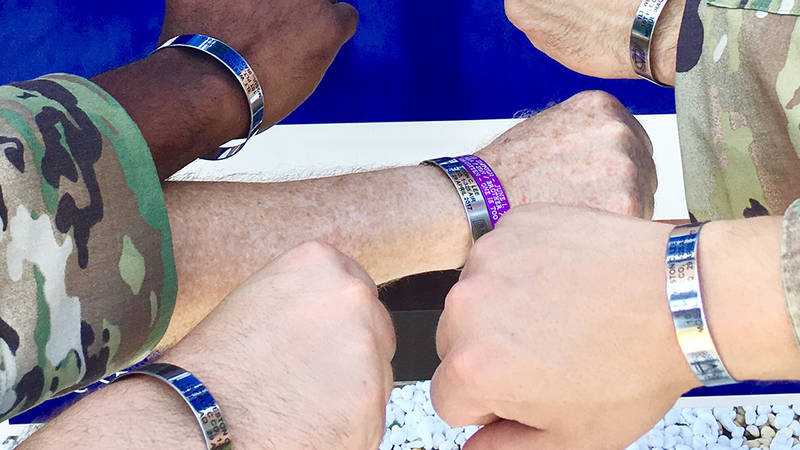 We’ve learned over the years that when a unit has a catastrophe and loses one or more Warriors, memorial bracelets help with healing for the survivors and family of those who pay the ultimate price for our freedom. We’ve also been told that in the heat of battle, it’s difficult for Warriors to put faces in their mind and remember those Battle Buddies they served with, who had been killed earlier. For this reason, and others, memorial bracelets are a constant reminder of an American Hero who gave his/her all for America. AaSP has been making memorial bracelets for many years now. It’s another example of how we help our Soldiers, Sailors, Marines and Airmen deal with the stress of war. It’s part of what we do in our Operation Wounded Care. In 2017, we’ve made even more bracelets. Some of the losses you probably heard about in the news. On 29 April, 1LT Weston C. Lee of the 82d ABN DIV was killed outside Mosul during operations to take back the city from ISIS. On June 1, one of our former Adoptees and decorated Air Force K-9 Handler, TSgt David Simpson, committed suicide. We made a purple bracelet for him. On June 10, three Soldiers from the 101st Airborne Division – SGTs Dillon Baldridge, Erick Houck and William Bays – were killed in Afghanistan. On August 2, two more Soldiers from the 82d – SGT Jonathon Hunter and SPC Christopher Harris – were killed in Kandahar. We made their bracelets, too. The tragedies and sorrow go on. We can only try to help the families, friends and Battle Buddies heal by providing these bracelets. Note: We do not sell bracelets. They are solemn reminders of American sacrifice. Camp4Heroes was inspired by Captain John “Woody” Woodall. It had been Woody’s dream after 9/11 to have a retreat where our injured Veterans could get away from it all, be with other Vets and relax in a peaceful environment to heal their wounded souls. More than 20 Veterans a day are committing suicide in this country! It’s a National tragedy. These men and women can’t make the transition from military to civilian life - no matter how hard they try. In 2016, Woody - the President of Fire Fighters Assisting Armed Forces Families (FFAAFF) - was joined by Scott Mallary (Truckin4Troops) and Danny Prince (FDNY’s Fire Family Transport Foundation). Together, they found property in Fairmont, NC, and with the help of an anonymous benefactor, purchased what is now Camp4Heroes. Adopt-a-Soldier Platoon saw what Camp4Heroes was doing in early 2016. 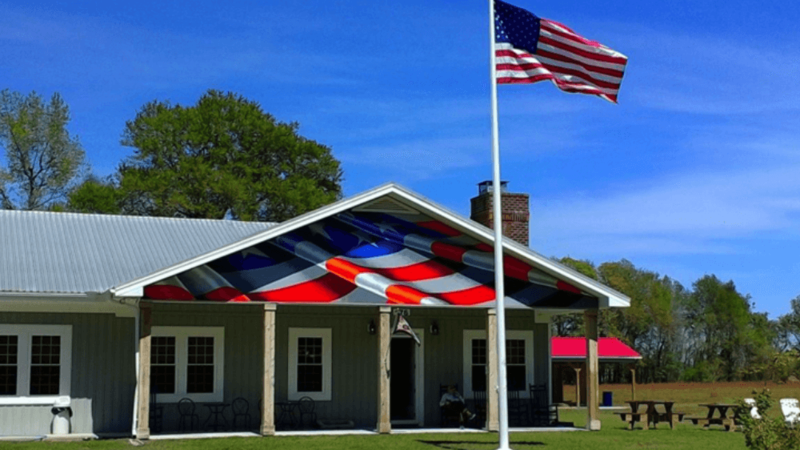 We believed in their ideals to take suicide prevention to the next level – by providing a permanent place where Veterans could relax; fish; learn to cook, paint or work with music; mow fields or just be around a farm-like atmosphere. So we began helping the Camp become operational. The complete tract is 184 acres; all development is ADA compliant. Fields will be used for planting, games for families and archery; and a chapel will be built facing the Lake housing a music studio as well. There will be trails for 4x4s, track chairs and horseback riding; and hay rides for the kids. For those who want to work, they can mow, bush hog, paint, garden, split wood or perform general maintenance while at the Camp. There will be something for everyone! 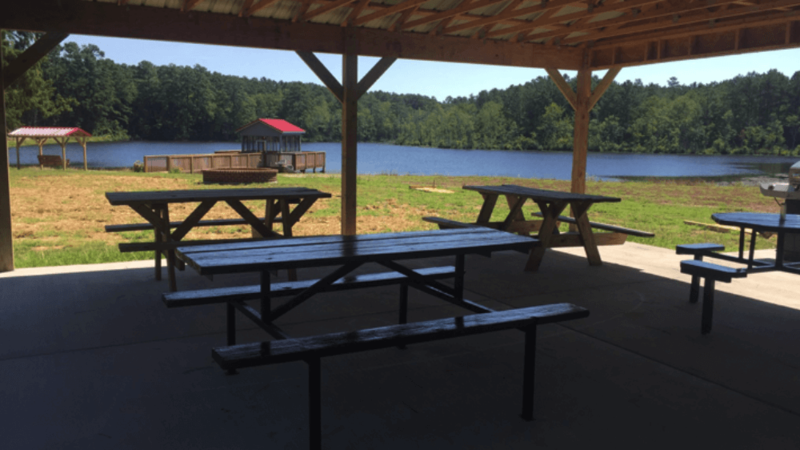 On the 10-acre Elliott Lake, Vets can fish, picnic and relax. Adopt-a-Soldier Platoon funded the 60-ft pier and gazebo that extends onto the lake. A fire pit was built nearby. Nothing helps the spirit like a group of Vets hanging out near a campfire sharing stories and laughs. 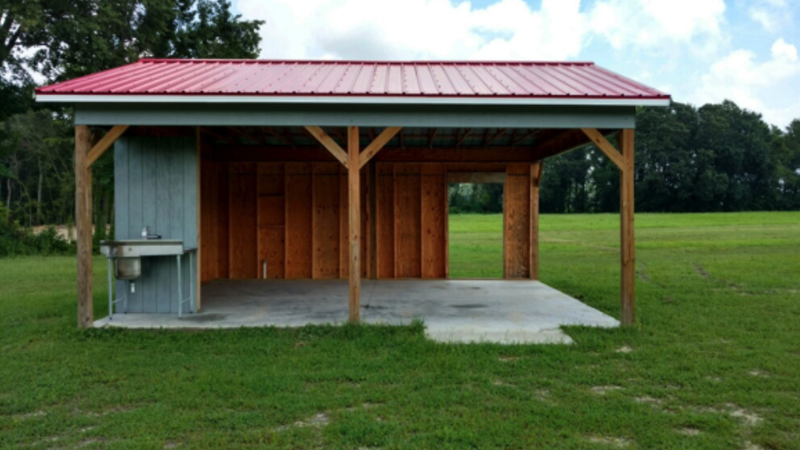 A picnic shelter also funded by AaSP will protect families from the elements. A typical southern swing hangs by the old Cypress tree. After Hurricane Matthew in 2016, the dam at the Lake was nearly destroyed. AaSP funded refurbishing and strengthening of the dam, protecting the Lake and the wonderful ambience and tranquility of the area. A group of Benefactors, led by Frank Cannata of the The Cannata Group and US Bank, funded an outdoor kitchen for this “Veterans Village.” Unilever donated appliances. The kitchen will enable Soldiers, Sailors, Marines and Airmen to cook their own breakfast with fresh eggs. Five log cabins will be built on site for weekend or weekly retreats, all with full bath, small refrigerator and microwave. 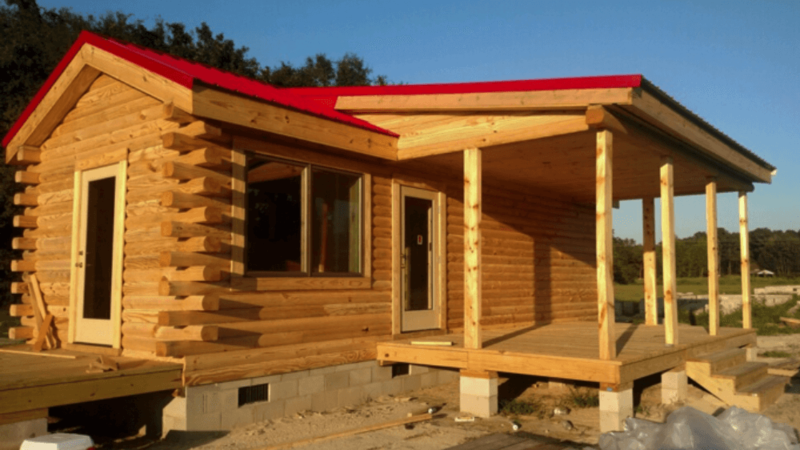 AaSP is building the first cabin. The cabin is nearly completed. Nearby will be an RV area, where Vets can bring their campers and have electric and water hookups. A bivouac area provides for those who just want to pitch a tent. Outdoor shower, bathroom and laundry facilities will be provided to keep everyone clean and comfortable. 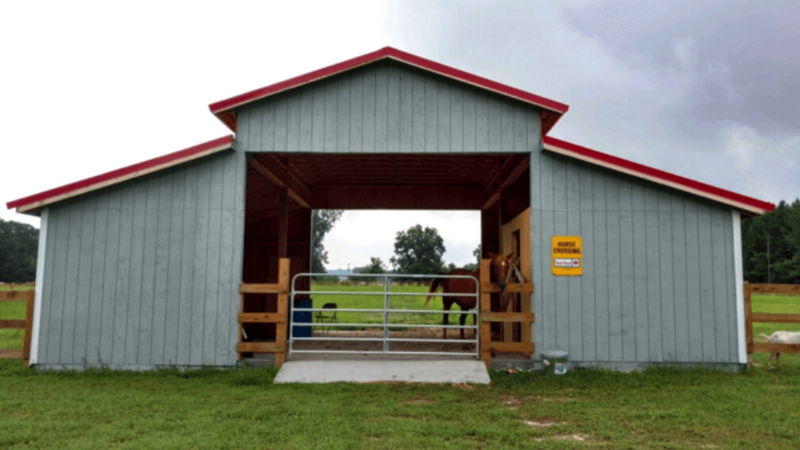 The Camp is home for two horses – Dusty and Dakota. Dusty is seen here in his beautiful barn that Captain Woody built. He and Dakota share a two-acre paddock. Horses make great therapy animals and visitors will be able to interact with, groom and maybe even ride the horses. The center of activity will be the Wellness Center. There will be dining for 50, a library and an art studio. A workout room, funded by UNICO National, will provide exercise therapy. A commercial kitchen (Unilever donated appliances from their R&D dept.) will host cooking classes by the Camp’s neighbor Krista Schneider, a chef and restaurant owner from Germany. Her husband Oliver is a blacksmith who makes gorgeous knives out of railroad spikes. Every Vet will have the opportunity to forge his/her own. On the ceiling of the Wellness Center will hang the 20’ x 30’ American Flag given back to AaSP by Craig Joint Theater Hospital at Bagram AB, AFG. It was flown in the Warrior’s Way portico there July 4, 2014 to September 11, 2016. The Spartan Pledge is a short oath given to those who have considered, or are susceptible to, suicide. The person taking the oath pledges to call the person who administers the oath before taking drastic action. It’s a way to add a layer of safety to the mind of a fragile person. A sword, forged from World Trade Center steel by master knife-maker Clarence Harbour, is housed in the Camp Lodge. 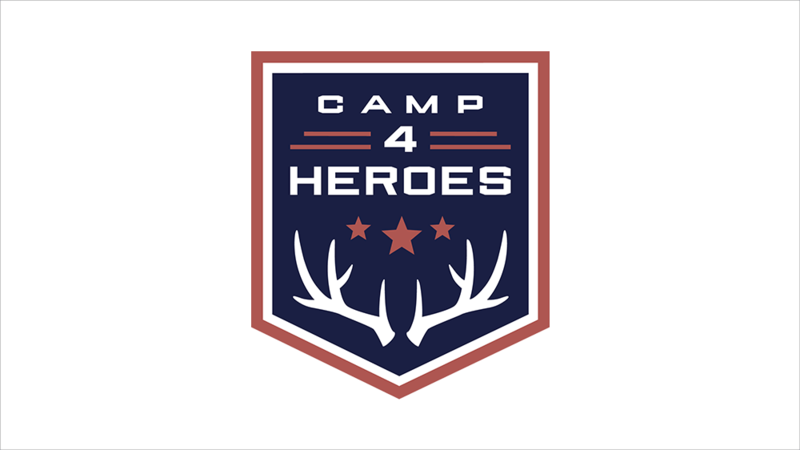 You can help Camp4Heroes too! Be a part of this noble, all-volunteer venture! Donations large and small are needed to develop Camp4Heroes into the successful sanctuary we know is possible! We encourage you to reach out to Captain Woody and find opportunities that suit you, your company or organization. Donations may be tax exempt and will be identified by an honor roll kept in the lodge. Woody’s email is CaptainJWoody@Camp4Heroes.org. The address is: Camp4Heroes, PO Box 400, Fairmont, NC 28340. 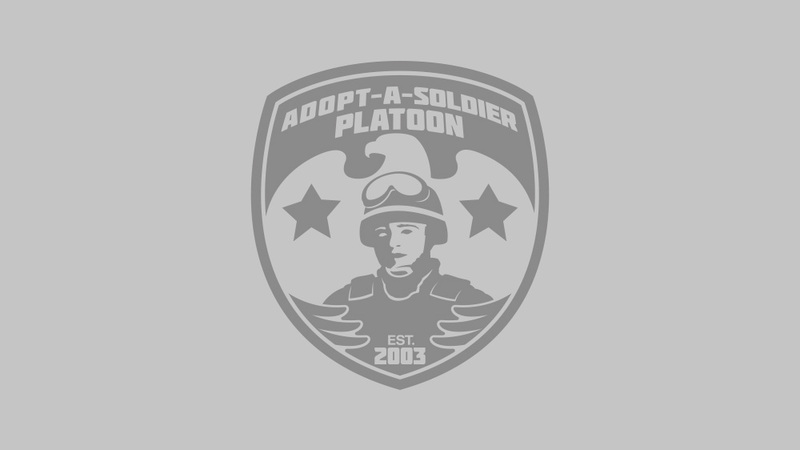 Mary-EdnaK@AdoptaSoldierPlatoon.org or send donations (mark Wounded Care in the notation) to Adopt-a-Soldier Platoon, PO Box 1111, Fair Lawn, NJ 07410.